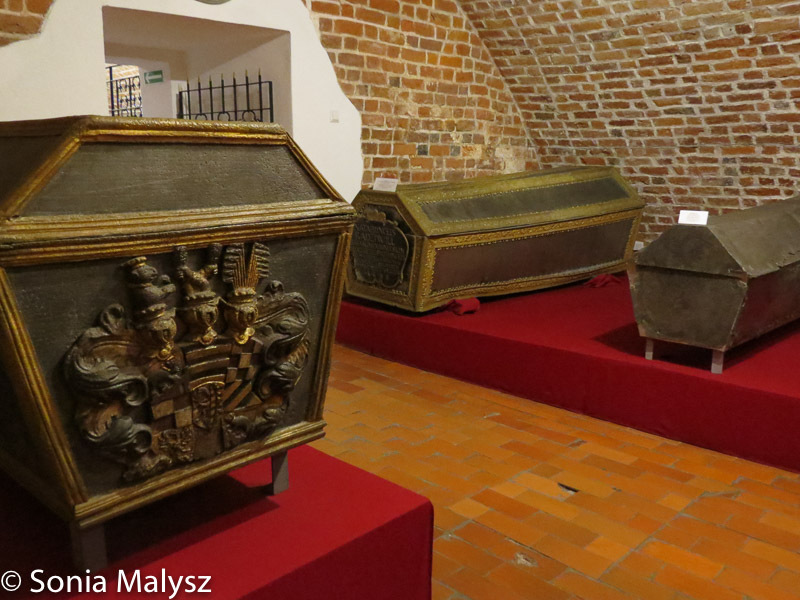 Let’s continue our walk through Brzeg, the residence of the last Piasts. We will start in the underground crypt ( in fact a series of crypts ) where the remains of them are preserved. 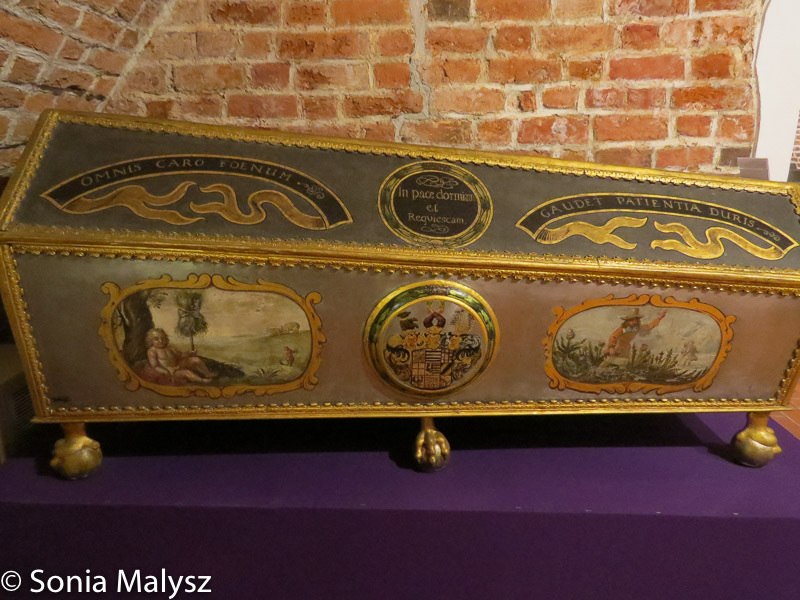 You may wonder why I want to show you a bunch of old coffins. It is because these coffins in themselves are a work of art. 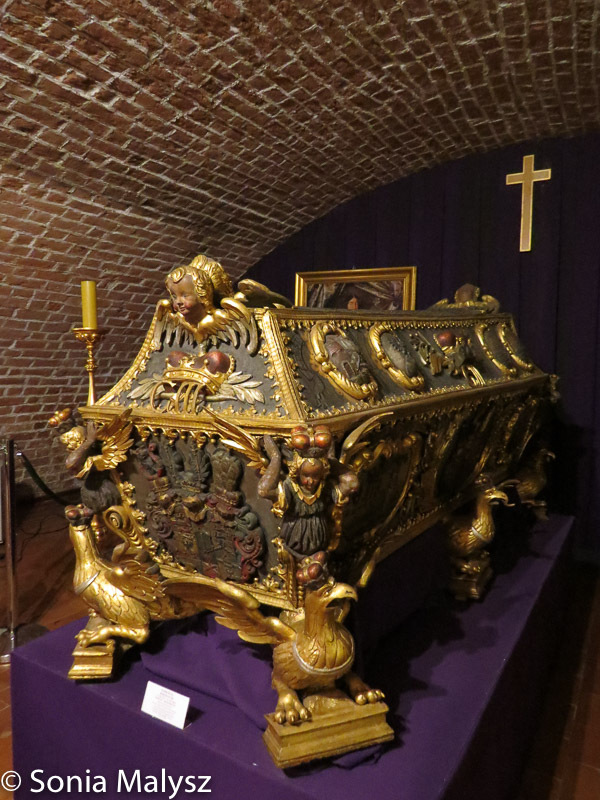 What was the reason nobles and monarchs took such pains to adorn their coffins? Pride? The wish of immortality? Vanity? Perhaps. But for my own sake I am glad they did. 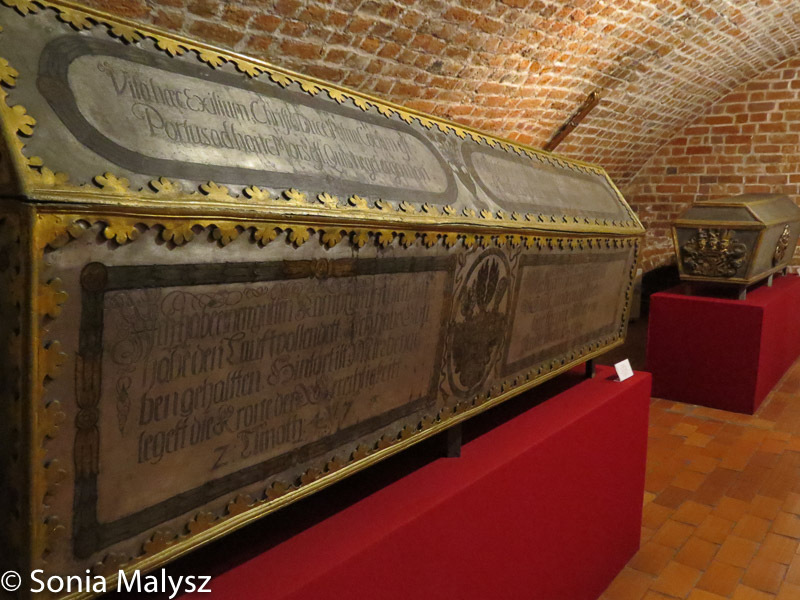 It is actually pleasant to meander through the crypts surrounded with their beautifully decorated coffins and listen to the stories of their lives. The first three belong to various family members – aunts, uncles, cousins. 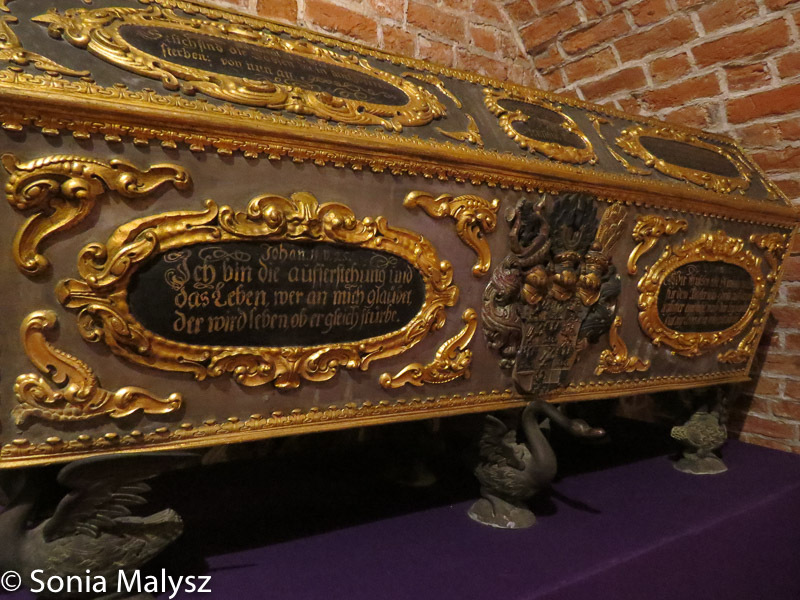 The genealogical tree of the Piast dynasty looked more like an old oak than a pine tree 😉 The most elaborate coffin belongs to the last in the blood line – duke George William of Legnica. Would they originally have been in a crypt or on display in a church? They certainly make a statement about the importance of the person who died.